Vancouver, British Columbia is located in the southwest corner of Canada. It’s one of the largest cities in the country and is known for being one of the most diverse metropolis in the world. It’s also consistently on the list of the happiest cities in the world, and for good reason. With so much diversity, it brings you a bunch of food options, various things to do in entertainment, and a very different industries to work in. That is why Vancouver is one of my favorite cities in the world. One of the benefits to being in this city is the amount of outdoor activities. Looking outside is something I always do when I visit this area, no matter what time of year it is. Mentor Travel has your list of activities to keep you out of the house during your next trip to Vancouver. First of all, Vancouver has an amazing nightlife scene. This includes artist performances, comedy shows, and music festivals. BC Place is home to the annual electronic music festival called Contact. It also holds a lot of sporting events if you’re more into that as well. But you can also catch a show at the Commodore Ballroom, the Imperial, and the Vogue Theater. If you’re looking for a magical ride up a mountain side, the sea to sky gondola is your ticket. It brings you up so some amazing views of the mountain side and has some amazing hiking opportunities. It’s even prettier in the winter, so don’t let the weather send you home. It’s only about 45 minutes north of Vancouver, so you can easily visit this place in a day. For a quicker drive to some more stellar views, the Capilano Suspension Bridge is perfect. It’s in Norther Vancouver and gives you a feeling that you’ve totally left the city. You can walk around on the 450 foot long bridge that spans over the canyon. There’s also a cliff walk, tree tops adventure area that is so much fun to explore. I love exploring urban parks in large cities. They provide a great environment for getting outside and feeling like you’re out of the city, without actually having to leave the city. Stanley Park in Vancouver is my favorite urban park. It has everything you could want in a park. You’ll find a sea wall that’s perfect for strolling, trails in the trees you can bike around on, and a bit of history to be learned with the Native American totem poles and aquarium in the park. I love renting a bike and riding around the park, it’s so huge you need a bike or car to be able to see it all. Next, we dive into some amazing culture. Davie Village is a neighborhood in downtown Vancouver that caters towards the LGBTQ community. You’ll find the beautifully painted rainbow crosswalks, thriving queer-friendly bars, and a fabulous gay pride festival each summer. Davie Village is composed of a portion of Davie Street between Jervis and Burrard. Some of my favorite gay bars include Celebrities, the Junction, Numbers, and 1181. You have to spend some time in this neighborhood to get a true feel of some of the diversity in Vancouver. This post would not be complete without the inclusion of one of the most prime snowboarding locations: Whistler. People travel from all over the world to visit Whistler. It has some amazing snowboarding opportunities for those into the winter sports. And for those who aren’t a fan of sliding on snow, there’s still plenty to do in the city area with bars, wineries, and lots of shopping. Another park in Vancouver is Lynn Canyon. 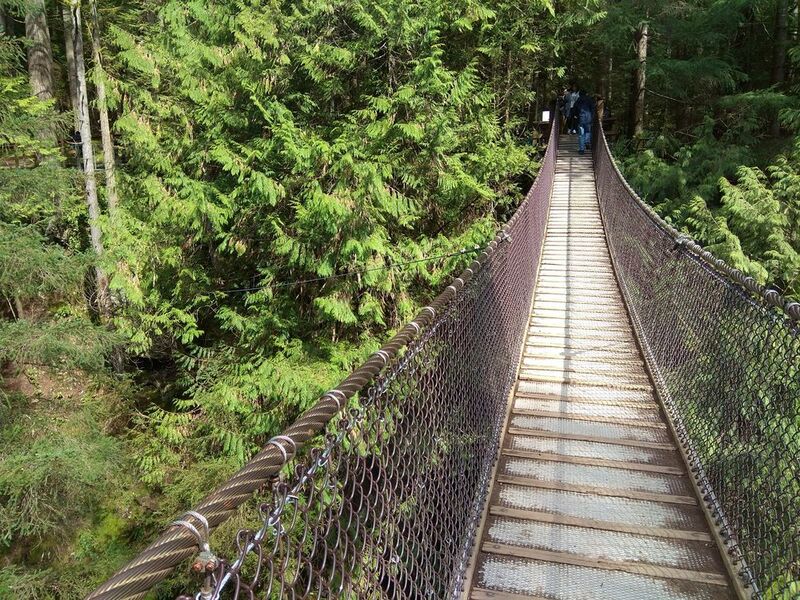 If you liked the way the Capilano Suspension Bridge sounded, you’ll love this one. Lynn Canyon Park offers a tree filled park with trails to wander and another bridge to climb across. It’s about 20 minutes north of downtown in Northern Vancouver. The main difference between this park and Capilano is that it’s absolutely free. That’s always a plus in my book. A great way to finish this article is with some food. Because eating is a great way to pass time in Vancouver, and with the diverse population, the food scene is amazing. One thing you have to have in Vancouver is dim sum. 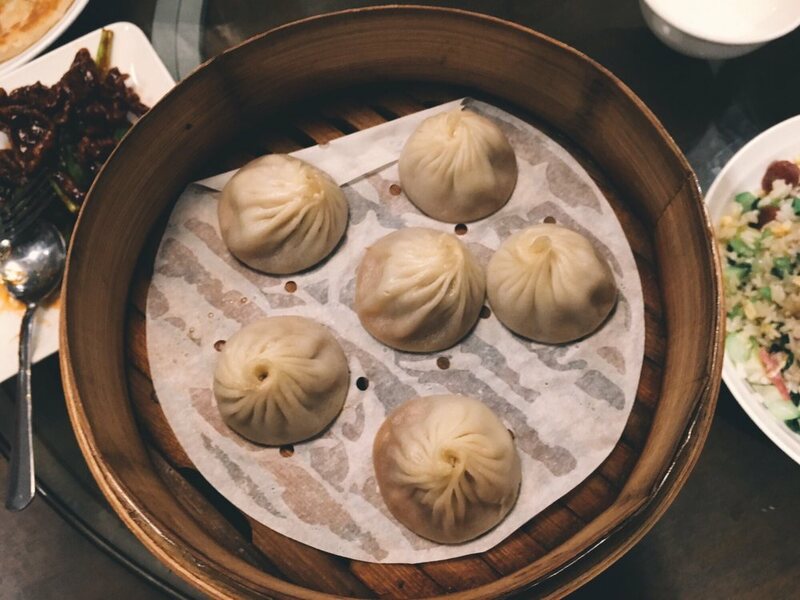 The China Town neighborhood in Vancouver is full of amazing dishes, and the dim sum is one of them. My personal favorite restaurant is Dinesty Dumpling House. They are phenomenal. Now that you’re convinced to head outside during your trip to Vancouver, enjoy it! Let us know in the comments below what your favorite outdoor activity in Vancouver is. Make sure to contact us if you need help planning your next trip!